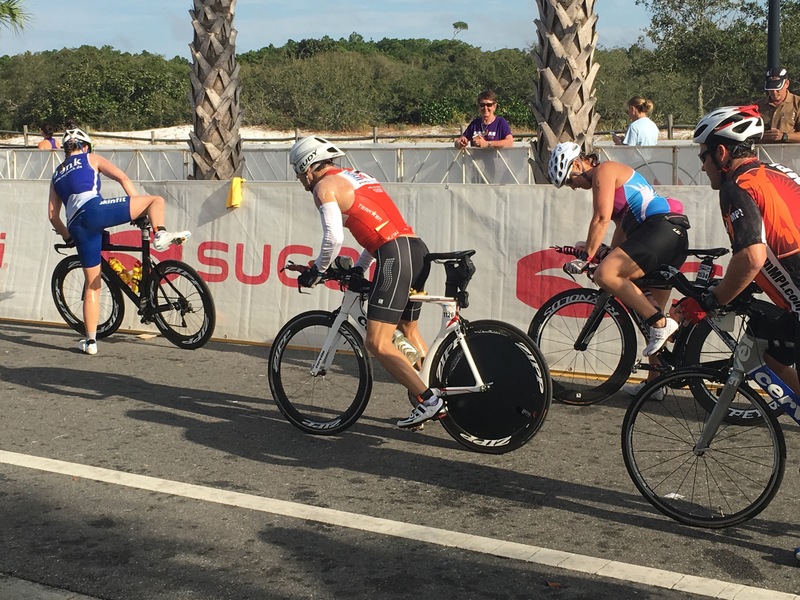 The 2015 Ironman® in Panama City Beach Florida was set against the backdrop of warmer than usual conditions. Despite the fact that several weeks earlier all indications were that things were going to be colder, race day proved otherwise. In fact race day itself revealed some heat and humidity that proved to be the undoing of more than a few athletes. All week it was hot. Anyone out exercising in the middle of the day would tell you the humidity was super high and the sun was beating down on you. Even short reconnaissance rides saw people losing significantly more fluid than normal. All indications were that hydration and fueling were going to be a critical part of success on race day. There were even some rumblings about whether or not the swim would be wetsuit legal or simply wetsuit optional. Once the temperature heads above 76 point something degrees, wetsuits become optional for the participants. If you are attempting to compete for a slot to Kona, you should not use your wetsuit as you will be ineligible. But anyone else can choose to use their wetsuit, they simply need to promise to stay hydrated and take care of themselves given the damage that can happen if you get too hot in the swim. Coach Rich and I were both on hand to deliver the Four Keys Talk as well as attend our team dinner. It’s always great to connect with the members of our team and meet their friends and family, 2015 was no exception. We have a solid group of athletes, and they were primed and ready to have a great race. Race morning saw the sun come up over very choppy surf. The break was significant enough to force the end of any warm-up options for athletes, the waves weren’t that significant. There were two waves of swimmers each: first had no wetsuits second had wetsuits. Each of those waves was slow down/spread out by the fact that it was a rolling start with signs on sticks the athletes lined up next to according to their predicted finish time. Those two measures ensured that the swim was not overwhelmingly crowded. 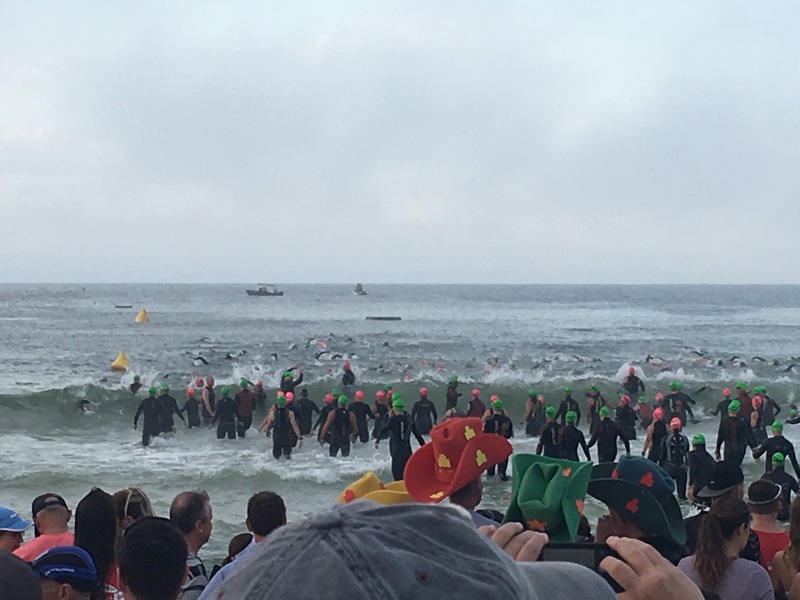 Watching the first age groupers enter the water without wetsuits – this is not a pro race this year so age groupers were the first and only competitors – it was clear just how significant these waves were. They were pummeled; flipped, tossed, turned. Many of our athletes end ended up going head over heels because of the surf. They also reported that not only was contact high, but that the wetsuits quickly closed the gap to the non-wetsuit summers leading to a very congested middle part of the swim. All in all, swim times were significantly slower than they have been in the past. Of course the great hope in Florida is that the bike course will help erase any mistakes you might have made in the swim. The course is flat with smooth, solid roads…and very fast. Of course, the sooner you’re out on the roads the less crowded they are with other competitors which is an advantage. Many athletes reported getting stuck in groups in packs. It’s just the nature of the race! That said, many of them identified one single particular bike Marshal was very aggressive in caring for the infractions of the rules. This is an unfortunate side effect of the race, one that hopefully will get addressed soon. Overall, the bike had favorable wind conditions. The wind was there, but it was never particular strong or consistently sustained in one direction. When did shift around the course of the day so as long as your timing was similar to what the rest of the field experienced, you have fairly favorable winds all day. The presence of cloud cover through the early afternoon also help keep temperatures down. And that was that during the bike most times are fast, although some athletes did complain about congestion and the randomly distributed or poorly allocated penalties. By the end of the bike, however, it seems that most people were pleased with their bike performance. As soon as the clouds began to dissipate in the early afternoon, the temperature skyrocketed. As a result the early miles of the run were incredibly hot. I am willing to say as hot as, if not somebody more hot, then our experience in Hawaii. That’s because the days weather leading up to the race had allowed us to acclimate. In this case athletes are dropping in from cooler temperatures across the country right into a very humid and hot environment. But here in Florida most of these athletes simply don’t have the experience or awareness required to be able to make “on race” changes to their execution plan. Standing at Mile 6 on the run course it was clear that many of the athletes were struggling to keep food and fluids down — and the pace up. As a result by 3pm there was just as many walkers runners … and as night fell this only increase as the temperature dropped. But by then the damage was pretty much done. Athletes were able to regroup but few could make up the initial time lost. 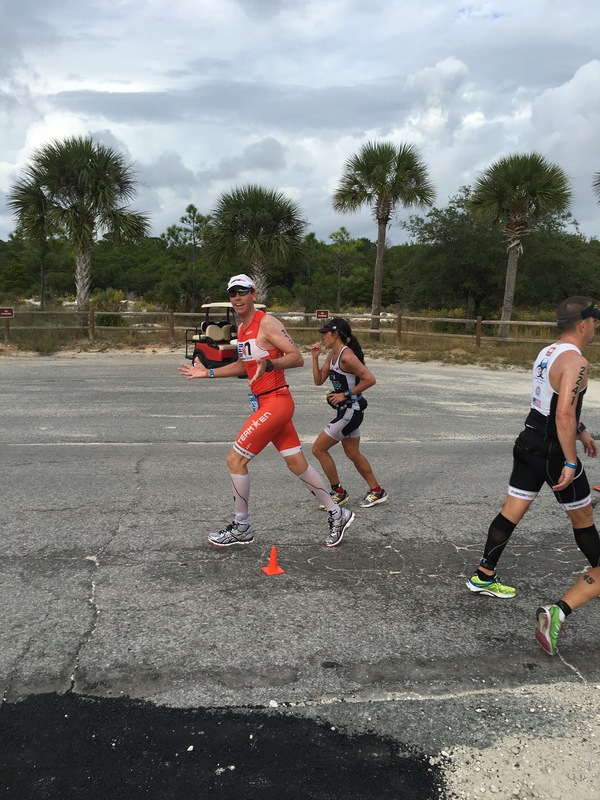 I personally think that the finish line at Ironman® Florida is fairly weak. It’s dark and set apart from the rest of the run course — there is minimal transitional energy being passed on to the runners it the spectators being the immediate finishing area. That’s not to say the race isn’t solid, it’s just not awe-inspiring. The finish area was very well organized, a nice change from years past. And you can’t beat the emotion and positivity being behind the finish line. 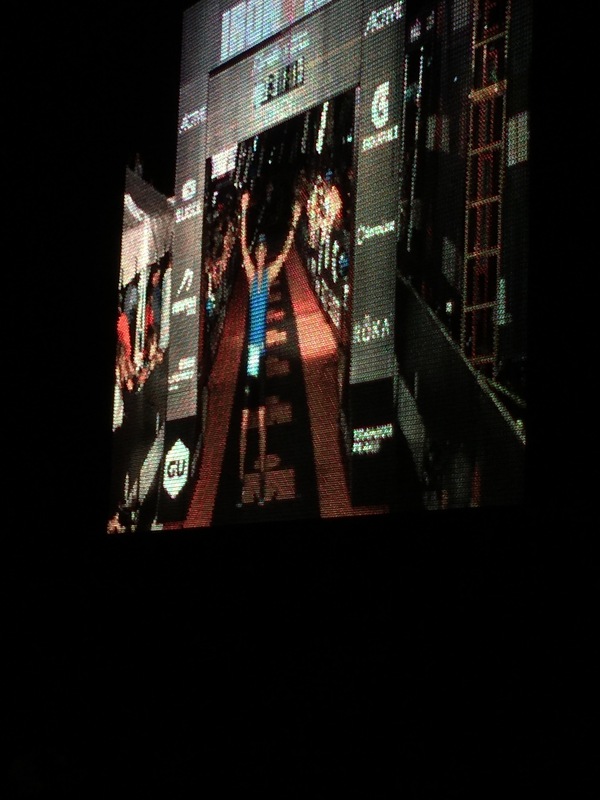 Congratulations to all of the finishers and to my Endurance Nation teammates! 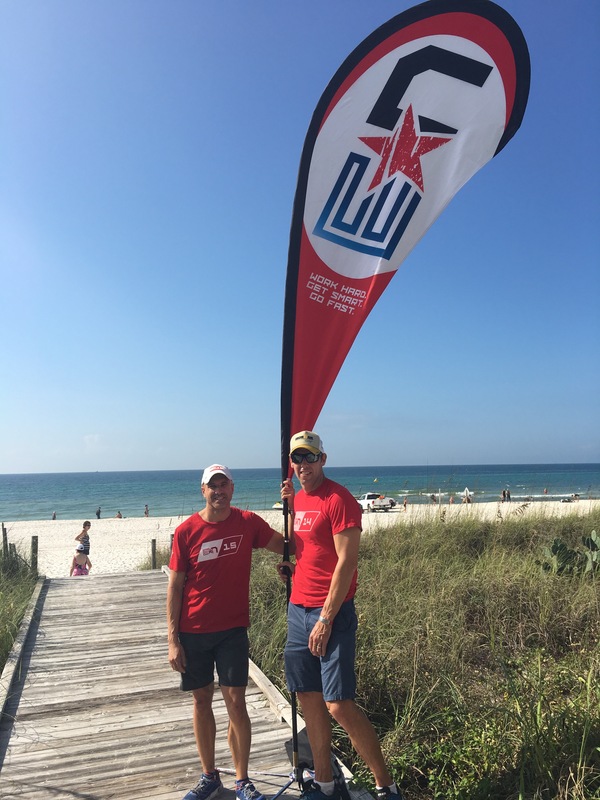 You were rock stars out there and you earned another Ironman® Tri Club Division One First Place!!! Happy recovery.